Need a new or new-to-you vehicle? You should shop somewhere that considers your needs first and foremost, and this is that dealership. Whenever you come to our Ram, Jeep, Chrysler and Dodge dealership in Baytown, TX, you receive the level of customer service you’ve always deserved, and the solution for all of your automotive needs. Today, Bayshore Chrysler Jeep Dodge continues the legacy of customer service and straightforward pricing started by our owner all those years ago. We sell new, used and CPO models of excellent quality, and our inventory is full of vehicles fit for shoppers of all kinds. Our finance team is happy to break down your options and help you decide between buying or leasing your next vehicle, and our service and parts technicians have the know-how and industry tools necessary to get your car back in tip-top shape. We look forward to not only assisting other communities but more importantly, making them apart of the Baytown family. We welcome our neighbors: Houston, Mont Belvieu and Atascocita to come visit us! 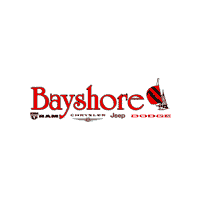 Bayshore Chrysler Jeep Dodge also remains dedicated to its support of the local community and the people who’ve gifted us with their patronage. We like to donate to organizations and charities, contributing to everything from the Baytown Youth Fair, Royal Purple Raceway to the Baytown Fine Rides. We’re a local business, and we never forget where we came from! Visit Bayshore Chrysler Jeep Dodge, we look forward to providing you with the automotive experience you deserve.